Future Academy founding tutor Ms Chen was interviewed by Straits Times journalist. 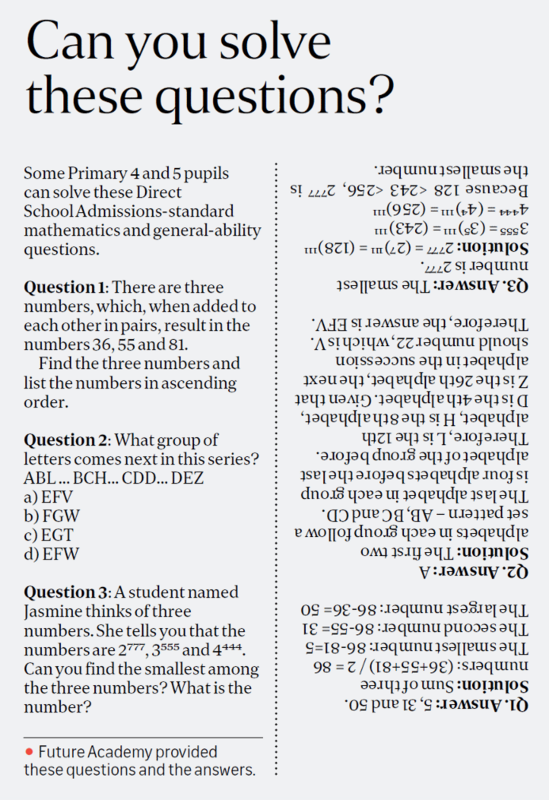 As formerly setter of DSA paper of RGS/RI and math competition coach in RGS , she also provided some sample questions as shown in article published on Sunday Times. You also can read internet version full article at Straits Times website.